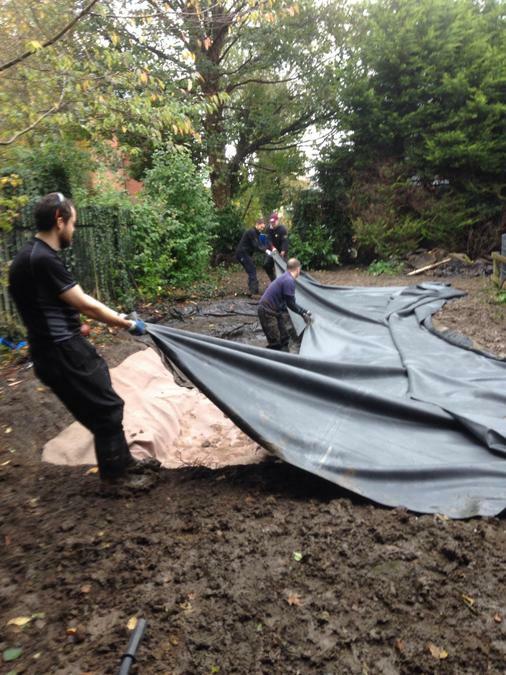 Over the past few months a team of volunteers have been planning - and more recently beginning - the renovation of the school pond area. Once completed this will provide school with a learning area focussed around a dipping pond and will encourage wildlife into the area. 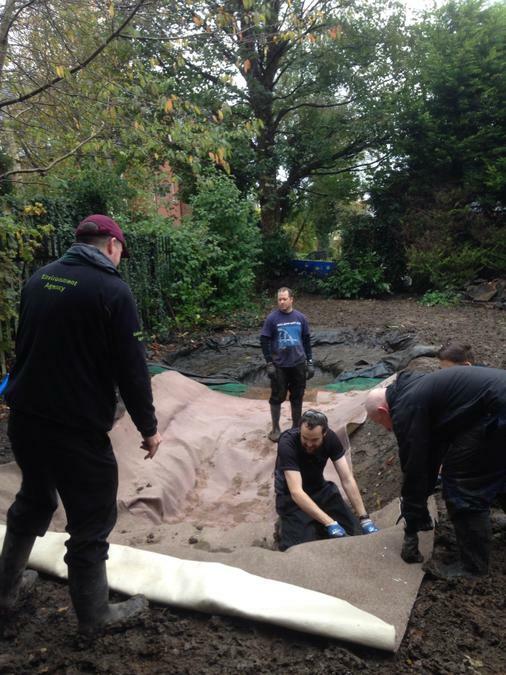 The work was delayed to ensure minimum interruption to the old pond's wildlife. This year there were hundreds of tadpoles a significant number of whom survived to develop into frogs. We had various experts visit to give advice on the plants in the old pond. Our volunteers then went in to clear the plants and store them ready for replanting. Overhanging trees were either cut back or removed to open up the area. We now have a light and spacious area. 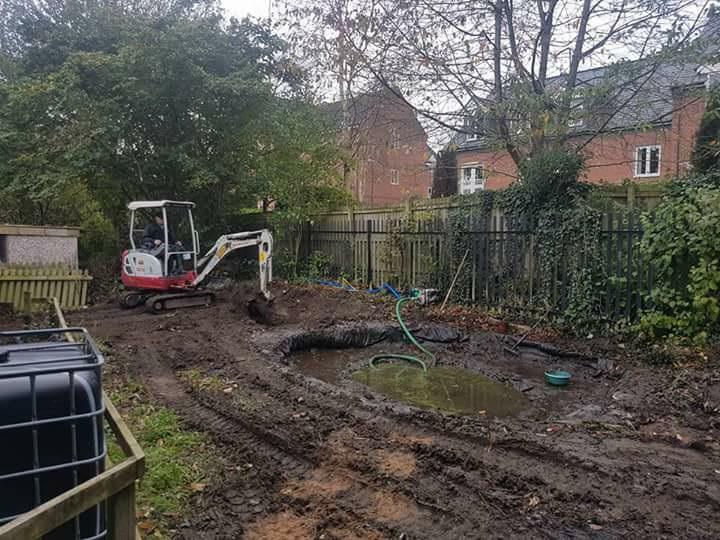 Sadly for those who were working in the area over half term, the planned days turned out to be the wettest in the week, so when the Environmental Agency Team arrived complete with mini digger, they had quite a challenge on their hands. 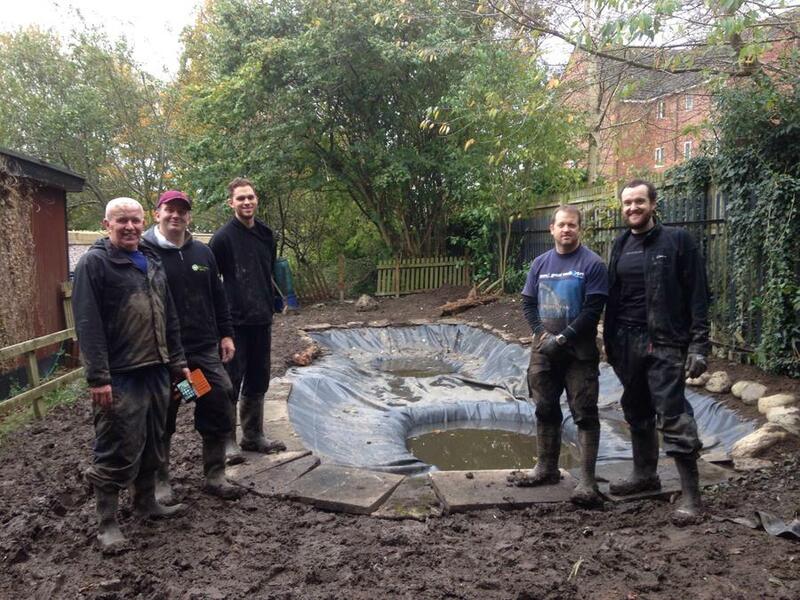 However, along with our volunteers they have completely redesigned the pond, so it now varies in depth. The team have also placed large rocks at strategic points along the edge as a start to the landscaping. Already, thanks to the recent rains, the pond starting to fill and we have installed a storage facility for rainwater off the demountable roof so that we can top the pond up if necessary. We are really grateful to everyone who has been involved in this project. There is still a lot of work to be done however. 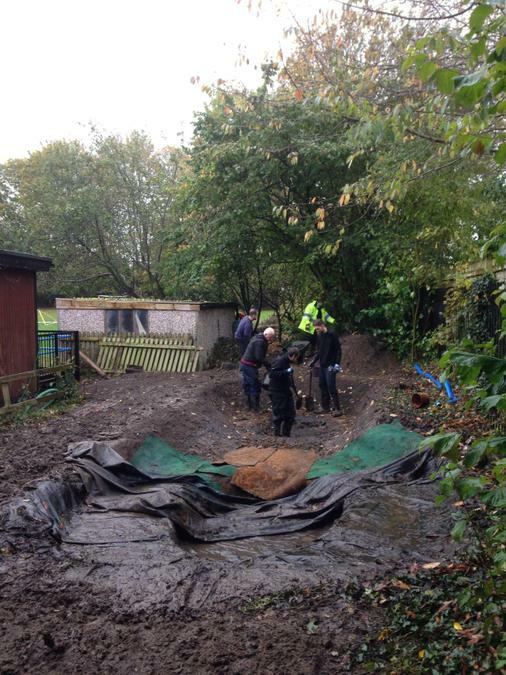 The next work to be done is to lay slabs around the dipping area of the pond and are looking for volunteers for this.